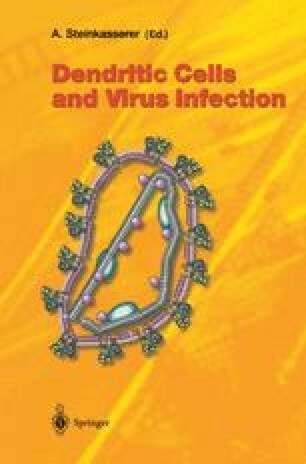 The human γ-herpesvirus, Epstein-Barr virus (EBV), has growth-transforming potential in vivo and in vitro. Despite this, most healthy carriers remain free of EBV-associated malignancies because of effective T cell-mediated immune control of the virus. A better understanding of these highly efficient control mechanisms is important in the development of new treatment strategies for EBV-associated malignancies. A rational approach to EBV immunotherapy requires answering two questions about the initiation of the protective EBV-specific immune response. The first question is, what is the antigen-presenting cell responsible for priming EBV specific immunity? Second, which viral antigen is central to protective EBV adaptive immunity seen in healthy carriers of the virus? We provide evidence in this review that dendritic cells rather than EBV-transformed B cells are responsible for orchestrating protective EBV immunity and that the EBV nuclear antigen 1 (EBNA1)-specific CD4+ T cell response probably plays a role in resistance against all types of EBV-associated malignancies in healthy carriers. This implies that EBNA1 targeting to dendritic cells should be a component of vaccine and immunotherapy development against EBV-associated malignancies.